Medical research can feel like a black box when you enroll in clinical studies. Why? Because you share your data and personal information for months without any access to it or even the possibility to share it with your healthcare provider. It doesn’t have to be that way anymore. 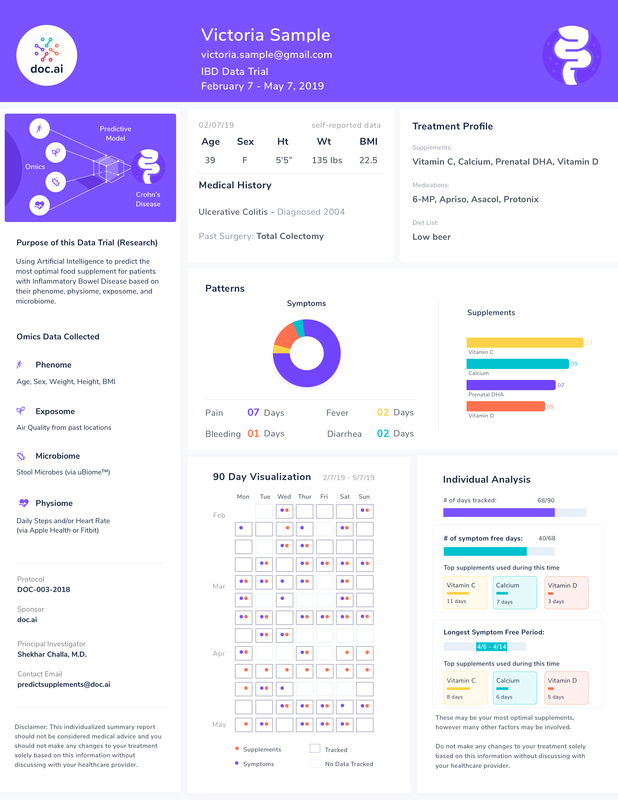 Starting this week, the doc.ai app will provide participants in data trials visualized reports of the data they have been tracking at the end of their participation with the option to share this report with their clinician. This is one of our first attempts to help bridge the gap between medical research and healthcare by making it easier for participants to share their research experiences and data with their medical care team. Concretely, this means that once a user reaches the end of their participation in a data trial, such as AI to help predict the most optimal supplement for Crohn’s and UC and AI to predict risks for allergies, they can access their individualized report via their doc.ai app. The report sums up all three months of their collected data during the research with a comprehensive look at what has been collected, when, why and how. This report is not meant to be medical advice but rather something you can use to discuss with your doctor and share with them in a PDF file format. The other important layer we will share is the publication of the results, the learnings and the model once it’s ready. This will also be available via shareable formats in the app. We are expanding our marketplace for your data exchange. 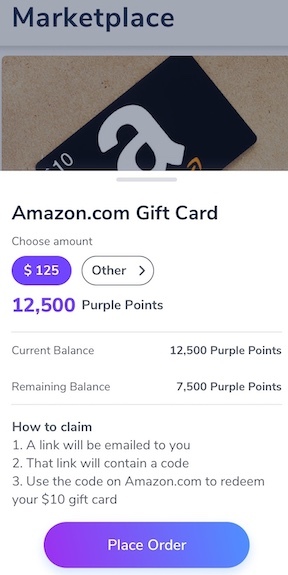 Orange and purple points earned in the doc.ai app can be redeemed in the doc.ai marketplace for gift cards, and we let you decide how many points you want to redeem. We thank all our users for their massive response to our recent survey about how we should expand our marketplace. We’re working on building a very cool offering of a variety of products and services on top of the gift cards based on all the feedback you’ve given us. Stay tuned! The doc.ai mobile platform is an efficient and compliant tool for integrating medical care and medical research. Sam, our co-founder and COO, will share our use cases at the upcoming CRAACO conference to be held on April 29th in North Carolina. Come and say hello if you’re in the area!